Your biggest problem if you make these? To keep yourself/your partner/family from devouring them too fast!!! I have to hide these and only bring out a portion everyday for them not to be inhaled (we use them as lunch box / work treats, well, and other other time we find an excuse to eat them). Now, how to make them…. Melt your chocolate in a water-bath (same method as in this recipe) or in the microwave (just be careful not to nuke it – stop when half of it is melted, take out and stir and leave the other half to melt slowly on the kitchen bench, still in the same container). Whilst the chocolate is melting, measure out your granola, glucose and peanut butter. When the chocolate is completely melted pour it into a bowl. Add glucose and peanut butter. Mix well. (If you are using cocoa powder, sift that into the glucose first, mix well, then add the melted cocoa butter and peanut butter). 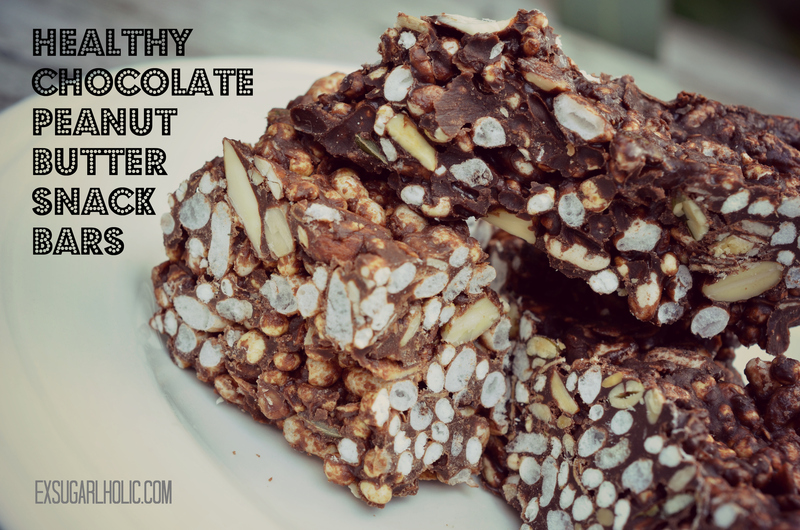 Add your granola and mix until all the chocolate is evenly distributed. Now all you gotta do is scoop it into a container lined with baking paper, press it down until it’s nice and firm and pop in the fridge or freezer (15-30 minutes) to set. Boom – ready to eat! These roasted savoury and sweet nuts are great to prep in advance and keeps really well in an airtight container. 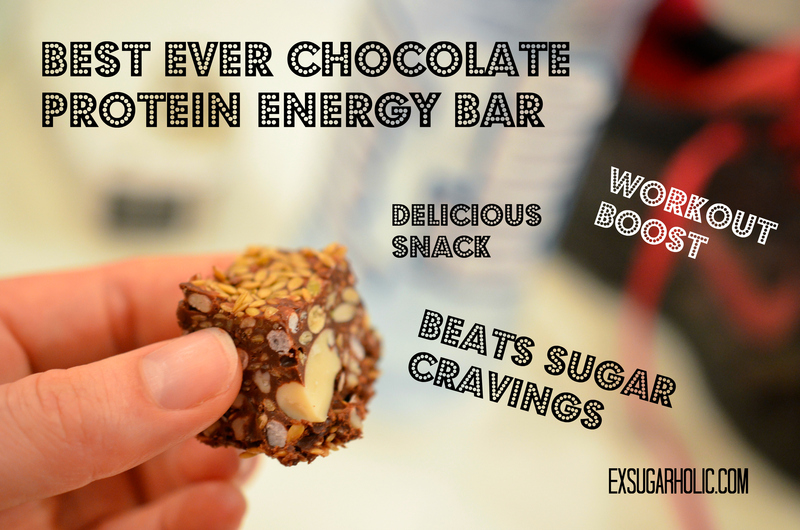 perfect for work (or school) snacks! 20-40 grams sugar-free white chocolate (optional, the vanilla spiced roasted almonds by themselves are delicious), unsweetened chocolate or if in a pinch, Lindt 90% only has 6.7% sugar in it. Pre-heat the oven to 175C (165C fan bake / 350F). Measure out your nuts. For the two savoury recipes, add the oil on top of the nuts and stir with a spoon until they are completely covered, then drizzle you salt or spices over and stir again. For the sweet roasted almonds, add your vanilla essence to the almonds and stir. Now, spread the coated nuts on a baking sheet and pop in the oven for approximately 6-10 minutes (in my oven it took 8 minutes). Let the savoury nuts cool down and box/bag them. They will last for quite a while (longer if kept in the fridge). If you don’t want to add chocolate you just finish and bag them too. If you want to add the extra part, melt your chocolate, let it cool to the thickness you prefer. 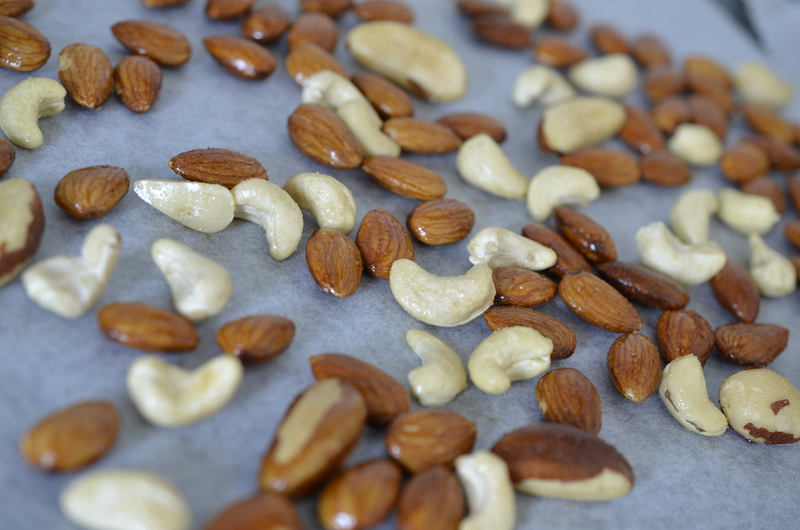 Then you just pour it over the almonds in a bowl, mix and spread them back on a baking sheet and let them solidify (or stick them in the fridge/freezer for a short period if you are in a hurry). Done! Ready to enjoy whenever you feel like it.